The movie version Mach 5 is a little more "real" than it's predecessor. I don't see why they couldn't have just used the original design, but it's close enough. 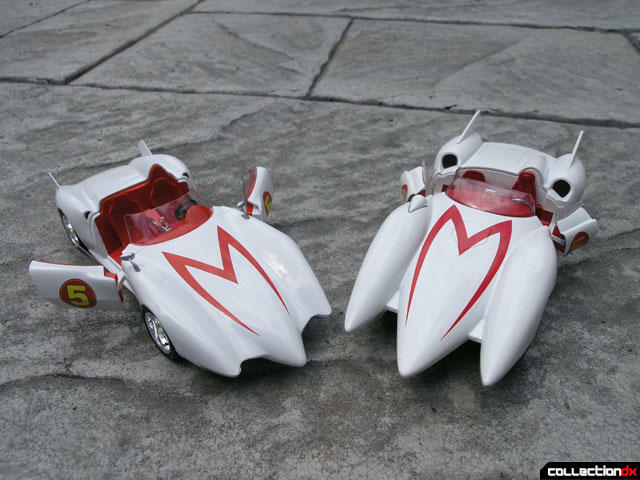 In the movie Speed Racer, the Mach 5 is Speed's brother Rex's car. 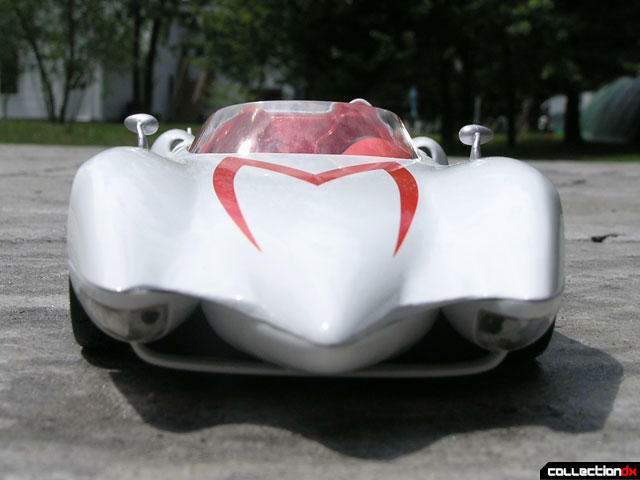 Unfortunately Rex dies in an accident, so the Mach 5 Becomes Speed Racer's car. 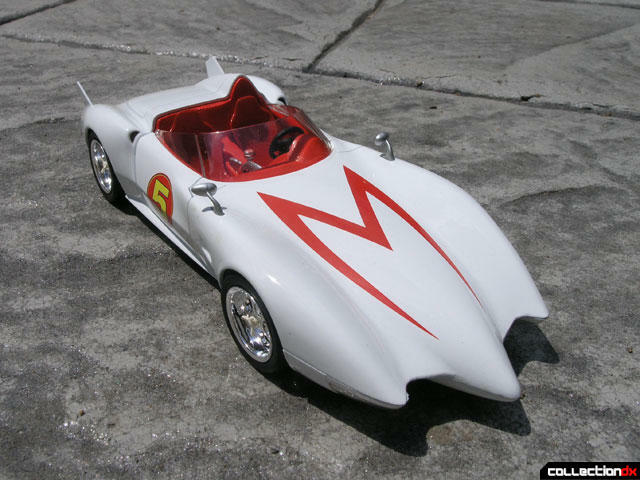 The Mach 5 is an all purpose vehicle, being both street legal, and equipped to race on tracks. It is not until the Speed enters the Mach 5 into a Road Rally that the Mach 5 is outfitted with all the gimmicks that we know and love. Unfortunately, like Jada Toys' Mach 5, this version has none of those gimmicks. The only thing you get here is opening doors, rubber tires that turn together, and diecast construction. 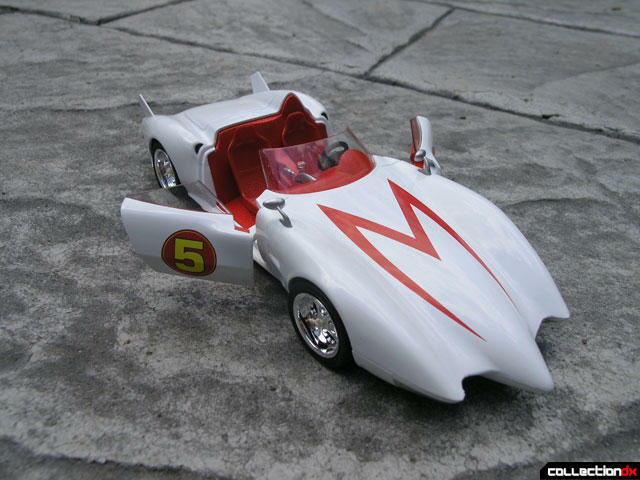 Mattel owns the Hot Wheels brand, so you know they know how to make a toy car, and the Mach 5 is no exception. 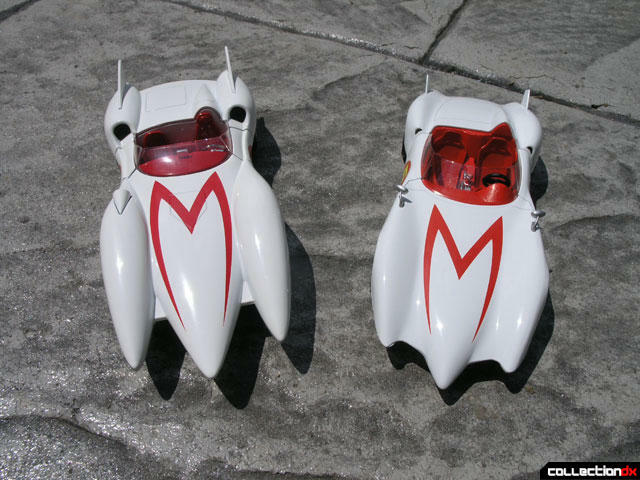 The toy has quality construction and is in the same scale as the Jada Toys Mach 5. Both are worth getting, and although the Mattel version is a bit more expensive, it is still a great piece.